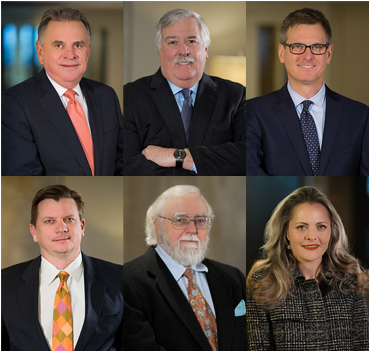 Secrest Hill Butler & Secrest has represented the policyholders of directors and officers (D&O) insurers for more than 25 years. The firm has successfully defended and resolved many litigated cases on behalf of such clients and their insurers, in state and federal courts throughout Oklahoma. In the event a director or officer of a company is sued regarding the performance of their duties as they relate to the company, D&O liability insurance provides financial protection for the both individual and the company. Our attorneys have the experience and expertise to provide our clients with candid and thoughtful evaluations of these exceedingly complex cases. These days, it seems commonplace when a disappointed investor charges a corporation's officers and directors with securities fraud or related allegation following a significant drop in the company's stock. If you are an insurer looking for a Tulsa D&O liability attorney for advice or for representation in a D&O lawsuit, contact our law firm online or call 918-494-5905. One of our experienced lawyers would be happy to speak with you.